Most of the research and analysis we do here at KCEconomy tends to be numbers driven. Now that the federal government is up and running, we again have access to the stream of data from government resources. There is one periodic report that we have often overlooked: the Federal Reserve Bank’s Beige Book. It’s worth a quick review. First, a little background. 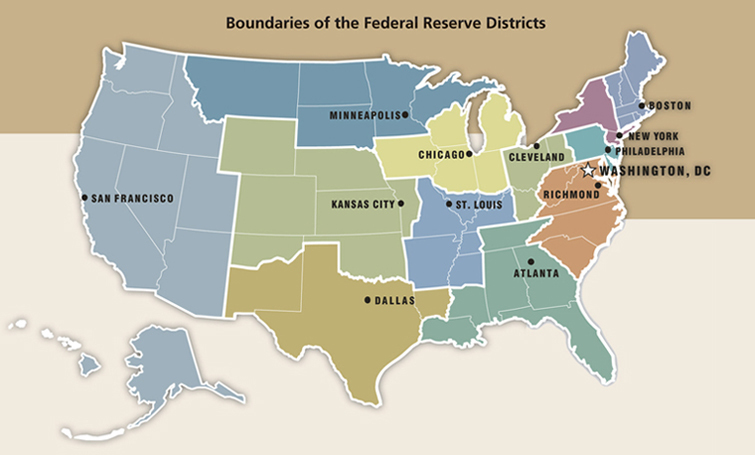 The Federal Reserve System is broken down in to 12 districts. Kansas City is the headquarter for the 10th Federal Reserve District, which stretches from mid-Missouri to the Colorado/Utah border and from Wyoming south to Oklahoma and northern New Mexico. Eight times a year, each Federal Reserve Bank conducts interviews with bankers, business leaders, economists and others regarding the overall economy in their region. The highlights of these interviews are compiled and released to the public via the Beige Book. Here are some quick highlights from the most recent Beige Book (released yesterday) for the Kansas City Region. You can read the complete report here. The Kansas City regional report itself is only a couple of pages and is very readable. For numbers-driven people like us here at KCEconomy, this type of anecdotal information takes us a little bit out of our comfort zone, but it provides a fresh perspective. We will continue to monitor the Fed’s Beige Book, in particular to see how its outlook for the Kansas City region changes over time and relative to other regions, and report any interesting conclusions in future posts.